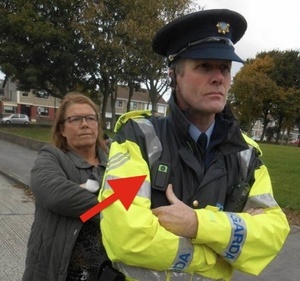 “Looking at a number of water protest pics from the weekend, there were a number of Guards wearing video cameras. It seems that these cameras were introduced quickly and quietly…. 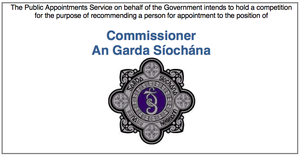 Posted in Misc and tagged An Garda Síochána at 12:45 pm on October 15, 2014 by Broadsheet. Correctly implemented, this could be a very good thing. Oh, wait. I was forgetting who we were dealing with here, and which country we´re in. 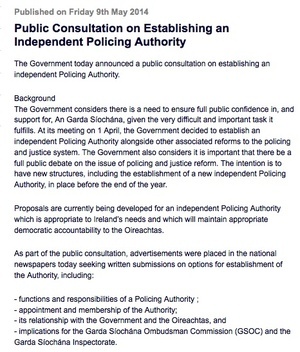 Provided the rotten Garda culture is done away with then yes, it might be good. But more than likely the device will have strangely malfunctioned if a Garda did something wrong or the device will be “misplaced” if anything incriminating Garda is on it… It will of course be used to prosecute anyone else! Won’t be done away with. 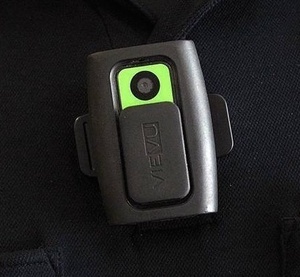 This will be a one way form of evidence used (rightly) for instances where the Gardi are attacked but if there is an incident of a Gaurd acting beyond reasonable force or breaking the law in some other regard the camera will somehow A) get lost, B) never have existed or C) have run out of batteries. the same would happen to the protestors camera……..! …right up until I saw the words “mute functionality”. 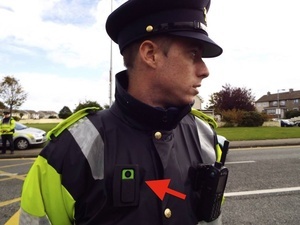 What possible good reason would there be for a camera designed to record evidence like this having a button the Garda can push so it won’t record sound? It’s not designed for recording evidence, though. Isn’t it a consumer camera that the gardaí will be using. If they are not used for evidence gathering, why are they being bought with taxpayer´s money? Be handy with a false assault allegation I guess. You’d think that this would be welcomed by protestors given the effects such cameras have had in the states. Yes, because the AGS have no recent history of misplacing evidence which may or may not incriminate members. There’s about a million (may be an exaggeration, but keeping with the theme of these type of threads) people with iPhones around anyway. Is the “the” you’ve got there not completely redundant? Yes it is. I put it in there because I am a bad person who likes to troll pedants. The The were pretty good in the 80s, but as you say, there’s fairly redundant in this modern age. Where’s the connection to 1984? or write your leaving cert English essay on it, if you’re that age then well done on reading something political in the first place, any older and you really ought to grow up. The professional protesters are upset they weren’t consulted before they were introduced, judging by the goon hiding behind the Anon moniker. Next time perhaps when Justice and Gardai want to use new equipment and procedures they should make contact with them on their facebook pages to consult with them first. I think they are annoyed too that they didn’t get an allowance to get one themselves, because you know, de rich have them. Where does it say that people, professional protestor or otherwise, are upset about this? The “quickly and quietly” reference doesn’t exactly scream “government conspiracy”. Personally, I think it’s a good thing as long as the worries above about evidence “going missing” doesn’t occur. I wouldn’t hold my breath though. Heh. The head on yer wan in the second picture. Its no bad thing , but public procurement again …of course they bought the most expensive ones they could find. I have one on my bike helmet , contour roam 2 , cost me about 1/4 the price of the Gardai version ..
Yeah but does yours have a fetching Garda colour scheme? I have one on me helmet too. That would be funnier were I a bloke. You could put it on one of your rims. I suppose a 379 yoyo GoPro would have been too cheap for them. Wait for it now, nothing but first-Garda perspective footage of jumps off the 40-foot. How long until the first case where these images are required and it’ll be “my battery died” or “he forgot to hit record”. It’s a good thing…. 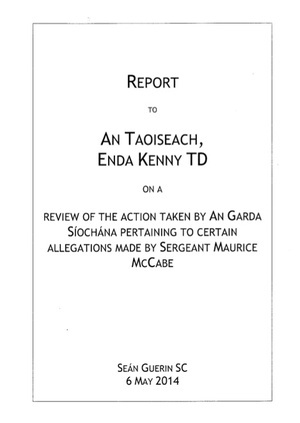 just… not really worth a tuppeny sh*te in the Garda force as it is in it’s shambolic corrupt state. Given the average technological know-how of John Law, I’d say those excuses could be both rampant and valid. Who is this john law and why is he so technologically impaired?? Also what a happy coincidence that was his name! Doubt they’d get away with it that handily. Presume due to the expense, they are numbered and tagged and not just left lying around the office so I would expect that the wearer would have to sign them out and in. Plus a quick review on return would sort out any anomalies – “Gerry you were gone 5 hours but there’s only 3 hours of vid-ja”. On the other hand, per the specs, they can be set to consant record, quite embarrassing if you have to go to the jacks mid-shift. Tapes being reviewed in the station and Gerrys 20 minutes on the bog after a feed of vindaloo from the previous night is broadcast in HD and surround sound. I think this will just put an increase in the sales of balaclavas. I hate people who rile against the Gardai. They are here to protect and serve, and when they done with that, they have a wife who is going to nag them when they get home. It’s too much to take, cut them some slack. The corrupt ones or all of them? The good ones! The ones that look good in uniform and know how to smile and deal with the public. And not treat everyone as a scobe. Those ones. Ah, that was nice. I do love a bit of casual sexism in the afternoon. This is the best thing that could possibly have happened the Gardaí. Provided there isn’t any post-event tampering / deletion of video recordings, fair play to them. A standard go pro is 125 euro. How long before they’re selling the footage to TV3 for a bloopers show? They’ll be getting £250 a vid from…. Only the Donegal ones though…. Not even close to $900. Also a bulk deal I’m sure. 900 dollars? 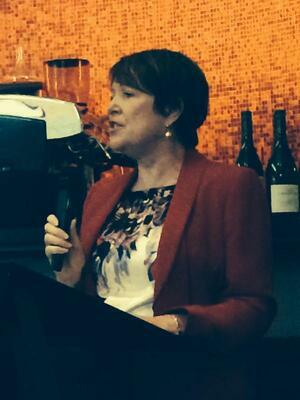 Since when did the public procurement process extend beyond the state? C’mon lads, if the Shell protesters get to use them, why not the guards?